Registration is now open for Soil School 2018! This all-day workshop on all things soil is a must for gardeners, landscapers and managers of small scale farms. 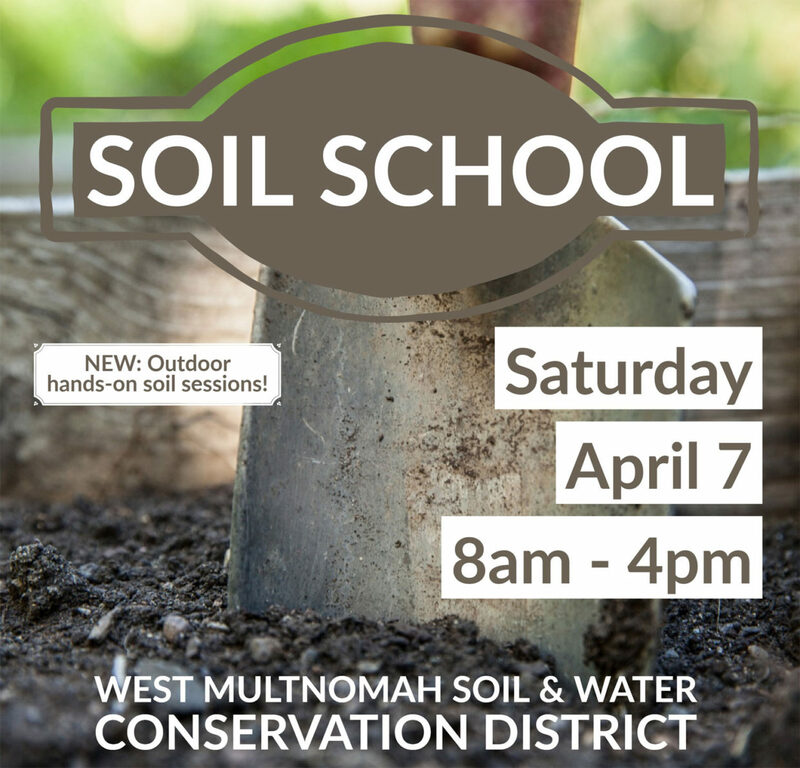 The West Multnomah Soil & Water Conservation District has another great array of speakers and topics lined-up this year, along with a new session, Hands on Soil, which will be repeated throughout the day in the outside PCC Learning Garden. Once again, James “Dr. Soil” Cassidy will be the kick-off speaker. Even if you’ve heard his talk before, he’s fascinating and there are so many details, you’ll always learn something new. The luncheon speaker this year is Dr. Celeste Searles Mazzacano who will provide some amazing video during her talk on dragonflies and damselflies. You won’t want to miss this! Continuing education credit for any landscape professionals available!